Even though it is not mandatory, going to driving school is something that every new driver should do. There is nothing that can replace the experience and knowledge that you will gain when you going to driving school Calgary, especially when choose Driving 101 – your best option for going to driving school in Calgary. Learn to drive the right way: Yes you can learn how to drive on your own, but it makes more sense to go to driving school and learn how to drive the right way and learn from a professional and experienced driving instructor. You will learn how to drive properly, avoid common bad driving habits such as distracted driving, and put yourself in a better position to pass your driver’s test. 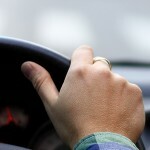 Properly prepare for the tests: Going to driving school in Calgary will help to prepare you for your road test and increase the chances of you passing your test without issue. Our driver education and in car training will help you build confidence and become a safe and effective driver. We teach the theory that you need to be a good driver: Most young drivers are focused on getting behind the wheel, but to be a good driver you also need to have the theoretical knowledge in order to know what to do in a variety of situations on the roads. You never know when you will have to make a sudden decision when driving and great driver education will prepare you to make the right decision. Insurancediscount: One of the most attractive benefits of going to driving school in Calgary is that you will qualify for an insurance discount and start building a history as an insured driver – something that cannot be overlooked. If you are looking into your driving school options Calgary, feel free to give us a call. We would be happy to tell you about our in-car and classroom driver training. Take your driver training with us and get your driver’s license in no time. Contact us to get start and get behind the wheel. Driving101 © 2019. All Rights Reserved.